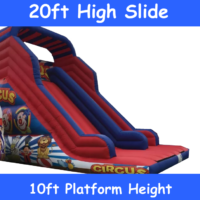 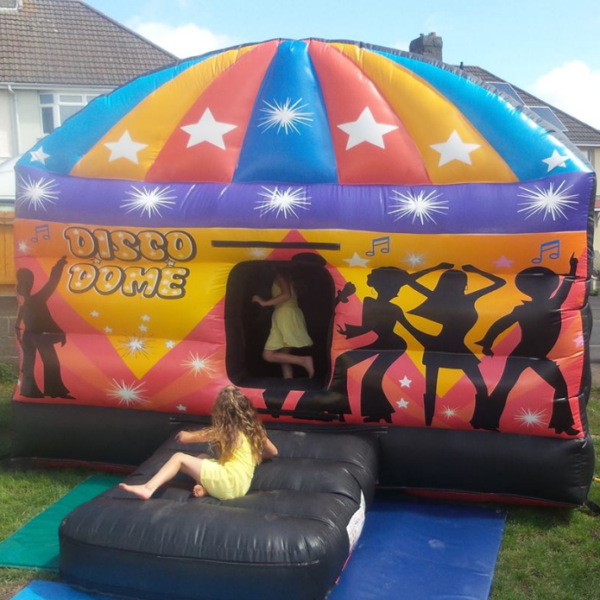 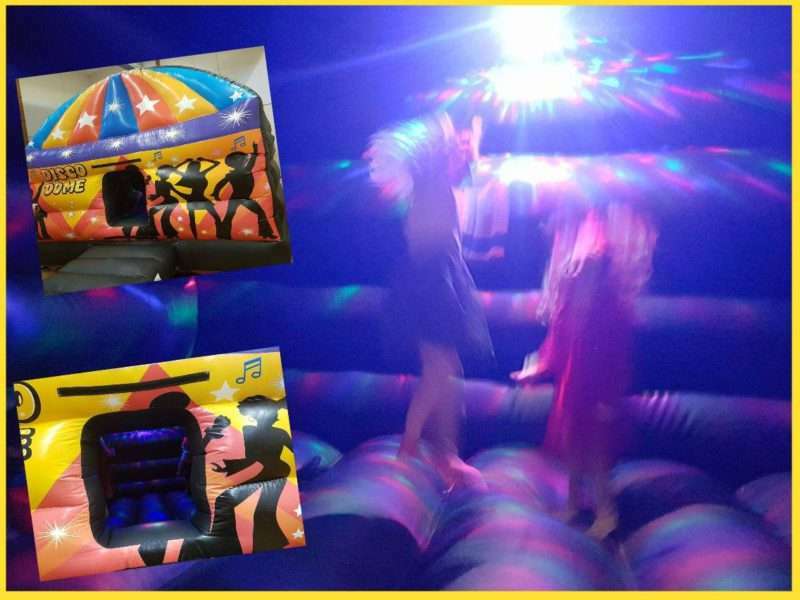 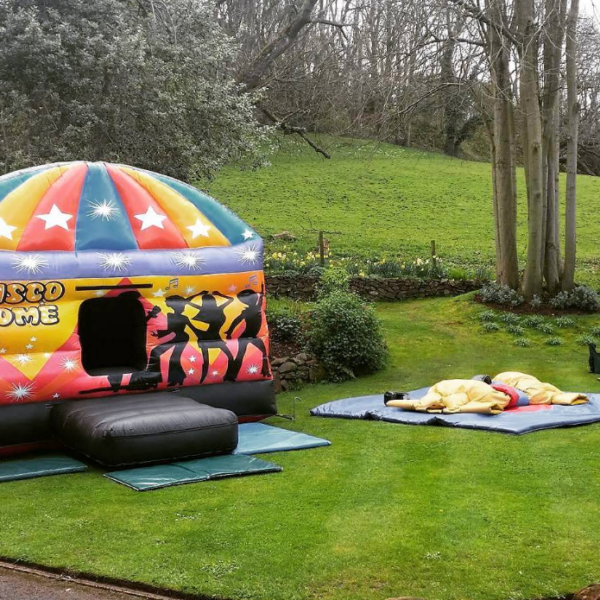 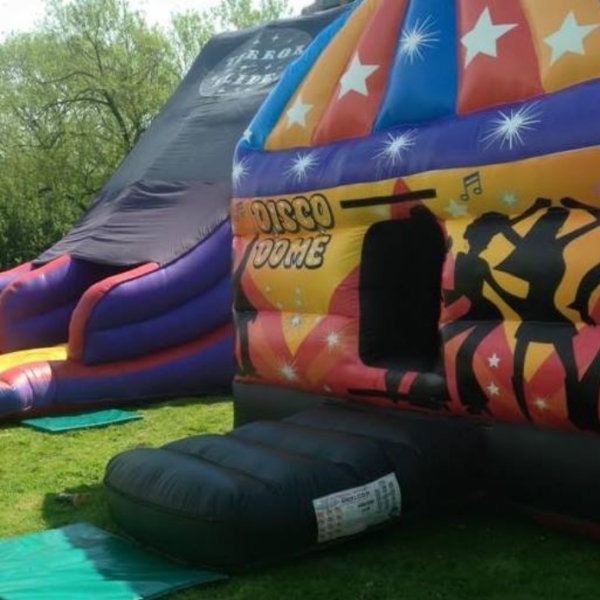 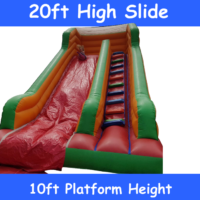 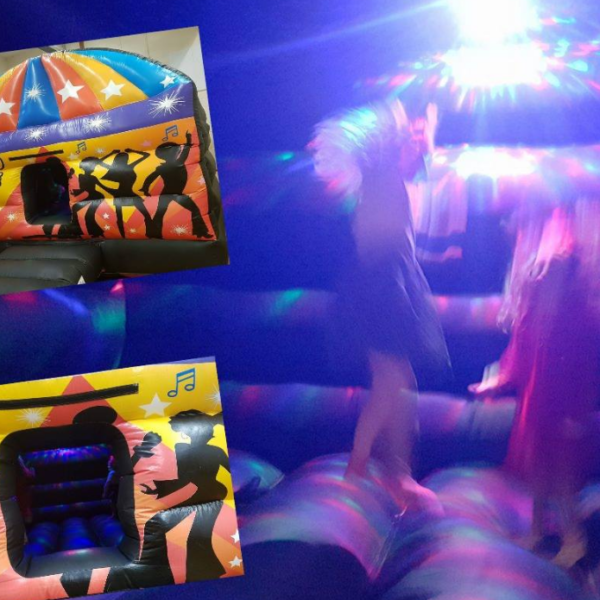 Disco Dome Bouncy Castle Hire Weston-super-Mare, Burnham-on-Sea, Bridgwater, Clevedon, Portishead and surrounding areas – You want it, we’ll bring it! 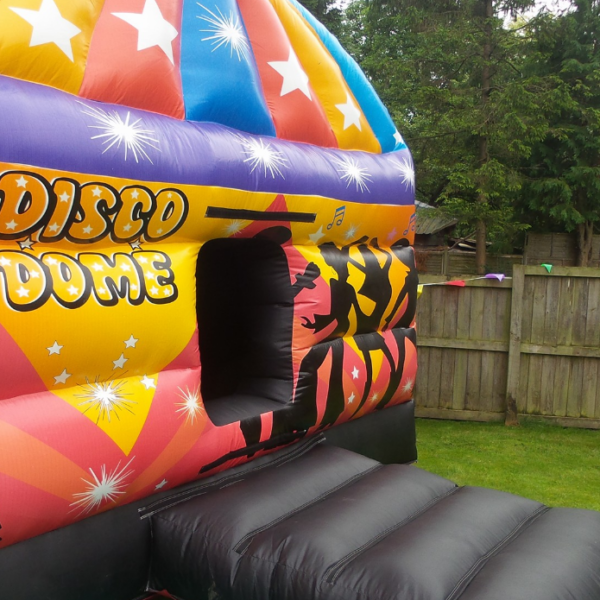 Our 15ft x 18ft Disco Dome bouncy castle has a totally black inside, which shows off the disco lights (includes the lights and speaker) and creates the ultimate party atmosphere . 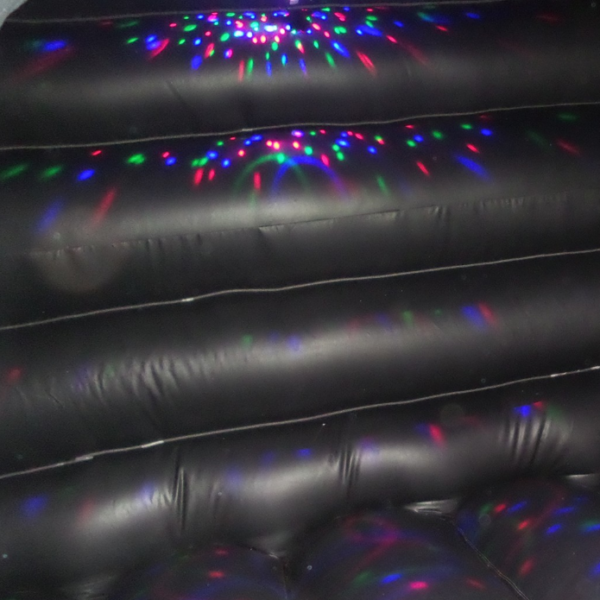 This provides the true disco feeling inside the inflatable. 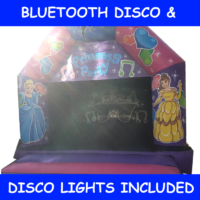 You simply hook up to your phone, laptop, ipad or mp3 player via bluetooth and play your music. 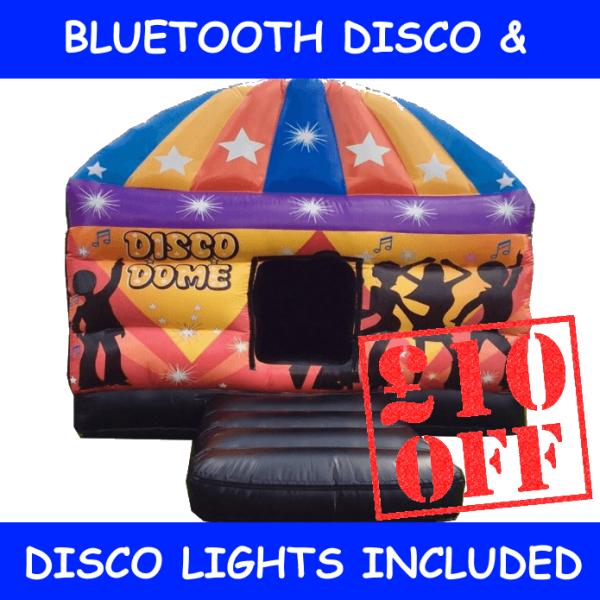 We will set this up for you so please make sure you have your device ready (and loaded with music) when the delivery team arrive, its also advisable to have a charger for the device too! 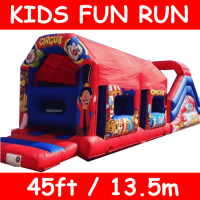 This bouncy castle suitable for all ages, is one of our most popular units, a big Disco Dome complete with lights, sound and dark enough to boogie!